Most people don't know about my excessive dorkdom. Privately I am queen of the Dorkdom Kingdom. Need proof? That is, they will if they reach their Kickstarter goal. Oh, the hours and notes that my dad and I invested working our way through these games. I say with pride that we never used the help books. If you aren't familiar, MYST and RIVEN are are immersive games that transport you to a new world where exploring and complex puzzling is your only aim. Beautiful graphics and emotive music penetrate your imagination. Support them on Kickstarter and get this closet-nerd her next fix! In the meantime, get jazzed by looking at some of the concept sketches they have released thus far. I am 29 and acknowledge that according to some references, I am a Millennial. However, I've worked with a handful of younger Millennials, and I would argue that in workplace function, they are a different generation. 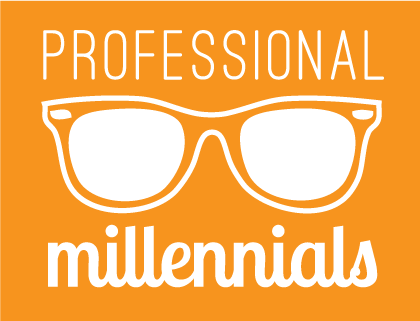 I know several instances where a Millennial's inability to be professional curtailed the start of her career. While it's frustrating, probably some true-hearted Millennials just don't realize how their age-group will struggle to acclimate to a corporate environment. We've complied a bit of well-meaning advise for any Millennial starting out in the workplace and aiming to grow her career. Show up to work on time, every. single. day. For the first six months, don't ask to leave early, take longer breaks, or change your regular schedule in any way. There are appropriate people for complaining to about your job (your mom and your boyfriend). Your boss is NOT one of them. Do NOT complain to or in front of your boss about your job. Speak English well, not good. Abbreviations and cute sayings are not helpful or communicative. Your goal is to portray intelligence and education, not apathy and slang. Practice using your brain. Think for yourself, learn quickly, don't use your co-workers as a crutch. Understand that there are consequences (cause and effect relationships). Ex.1 : If you don't do a project today, you'll have to crunch it in tomorrow with everything else. It doesn't disappear! Ex. 2 : If you slack in a group project, your boss will know and you will hurt your relationships with your co-workers. Show initiative. When you finish a task, immediately ask what to do next. Look for ways you can help, assist, or contribute, even after your assigned task is done. If you follow these seven recommendations, you will adapt more easily to professional culture, AND stand out amongst your Millennial peers. Good luck! Thanks to Annie at Pumpkin Scarlet Blog and Ashley with Dirty Helen Paper for help with this post!